It turns out that this might not be entirely true because the Harvard Journal most likely got this information from Elizabeth Warren herself. There is little doubt that the university initially got the information from the law directories, but that wasn’t enough proof for the Harvard Journal when it was researching the above mentioned article so they sought additional information from the sources themselves. Once the initial compilation of biographical and bibliographical material was completed, we attempted to verify our data by sending each of the more than 250 women listed a facsimile of the information pertaining to her. Approximately sixty-five percent of the women responded. We were pleased that several women helped to improve our list by putting us in touch with their colleagues whose names did not appear in the AALS [Association of American Law Schools] directory. The university attempted to reach all of those who were listed as minorities before the article was published and those who did not respond to the facsimile were contacted by phone. If a person requested to be removed from the guide they were removed so it seems quite likely that Elizabeth Warren did not object to being listed as a minority in this article. There is still the possibility that Elizabeth Warren was never reached by the school for verification but it seems highly unlikely the school would have used her name without verification after the lengths the school went to in order to verify the names in the first place. And just for the record, this is the second instance of a university calling Elizabeth Warren a ‘woman of color’ because Fordham University also described her this way in an article written in 1997. Yet we are to believe she knew none of this was going on until the Boston Herald broke the story four weeks ago. White is a color…As is round a shape and idiocy quite common amongst leftists…Just saying.. I take it you support Warren? If so you may want to read my post on this tomorrow because I will be calling out all Warren supporters. If I misunderstood, I apologize. Clearly my humor has missed it’s mark. Sadly, neither the first nor last time. Earler posts have comented how little attention this issue is getting in the MSM. As a conservative out here on the extreme left coast, it always feels like nobody hears us, like we never exist. Thus, my attempt at a pun on the old question about a tree “FALLING” in the woods, I have nothing but contemp for the hoax Warren has put on. I am sorry for the misunderstanding; your explanation was actually a possibility I thought of but I just wasn’t sure how to take it. SOmetimes my humor or sarcasm is taken serious as well, so I know how you feel. 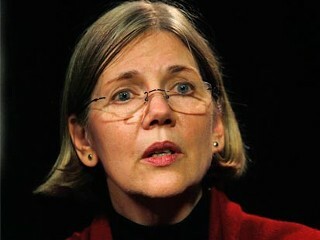 She may be the first white person to scam the affirmative action policies of Harvard. Shameful! But then she has no shame. No she doesn’t because the end justifies the means. Well. the first Conservative to do that would not be fairing as well as she is with the media. Guess she is lucky to be a Liberal, right? You’ve got that right Lou. Just look at the way James O’Keefe is treated for exposing the voter fraud without actually committing fraud, while Warren committed this fraud for many years and benefitted from it.